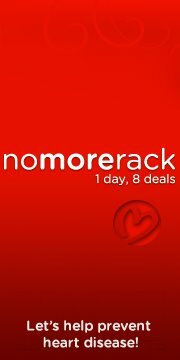 **Brought to you by your friends at NoMoreRack.com. I only recommend products or services that I feel my readers will find valuable. All opinions are my own. Individual results may vary.